Quitting smoking is one of the most important things you can do for your health. Smoking can cause cancer, lung disease, heart disease, and many other health problems. Secondhand smoke can be dangerous too. It can cause lung cancer and heart disease in adults. It can make asthma worse or cause ear infections in kids. You’ll see benefits as soon as you quit smoking: your heart rate and blood pressure will go down; you’ll breathe easier; it will be easier to exercise; your sense of smell and taste will be better; you’ll lower your risk of cancer, lung disease, and heart disease; and you’ll live longer. Nicotine is a strong drug. Your body becomes addicted to nicotine when you smoke. You may have withdrawal symptoms or cravings when you stop smoking, like becoming anxious or irritable, having trouble sleeping, or wanting to eat more. These symptoms are usually worst the first week after quitting. The good news is nicotine withdrawal symptoms only last a few weeks for most people. The routines and habits that go along with smoking can make it tough to quit too. Some people often smoke a cigarette when they drive, after a meal, or when they’re on the phone. Smoking can become a part of these routines. After you quit smoking these habits can be a trigger to make you want to smoke again. It’s important to separate smoking from these routines when you quit. How can I make it easier to quit? You don’t have to quit “cold turkey.” You can double or triple the chance that you’ll stop smoking if you use a medicine and counseling together. There are many medicines available; these work in different ways to help manage nicotine withdrawal. Many can be bought off the shelves at your local pharmacy, while some require a prescription. Talk to your pharmacist or prescriber about what medicines may be right for you. It is very important to have counseling when you quit, so you can have help developing skills to break smoking habits. There are lots of counseling options available, many of which are free. Some options are local support groups, telephone quitlines, online services, and texting programs. Start thinking now about how you plan to kick the smoking habit. Think about why you want to quit. Look at triggers that make you want to smoke. Plan for challenges you might face when trying to quit. Talk to your pharmacist or physician about how to get help. Content taken from Pharmacist’s Letter. How Can You Prevent Another Kidney Stone? Have Diabetes? Take Care of Your Feet! Subscribe to our blog to get notifications of new posts by email. The staff is knowledgable, kind, and goes above and beyond to be helpful. I am always greeted with a smile. They always try to help, specifically by helping older people save money and by helping people afford their medications. The staff at Baron’s is quick and courteous. Also, they help find the drug that is the cheapest choice. We really like how promptly prescriptions get mailed to us. I love the staff. Good mixture of professionalism, and being kind and personable. Very accurate. I can’t say enough good things about the staff. Baron’s Pharmacy is fantastic. I’m happy I can call anytime with questions. Everyone is pleasant to deal with. I love the delivery service they provide. I’m sensitive to so many medicines, so they let me know if there are any changes with different generic drug manufacturers. Amy has set up all my prescriptions to be filled together so I don’t have to make extra trips to the pharmacy. I love the pharmacy. Tim and the girls are wonderful. Several times when I needed my prescriptions done quickly, they were. They are helpful when you need them. I know I can call anytime that I have a question, and they will always help me. Very professional and yet down to earth. It’s the best pharmacy around. Everyone is pleasant. As nice as ever. Craig called my mom and helped her save money on her meds. My husband ran out of his meds and was happily helped out after hours. Nothing but good things to say about the staff. They are the most professional and pleasant people to deal with. The staff have seen me in another setting outside of the pharmacy, and they recognized me and came and talked to me. They made me feel like it isn’t just a business transaction. I love them all. Best pharmacy I have ever been to. All pharmacists are great. They are like counselors. Compassionate, caring, helpful, and efficient. The prices are right. If there are any problems or concerns, they are there to help. 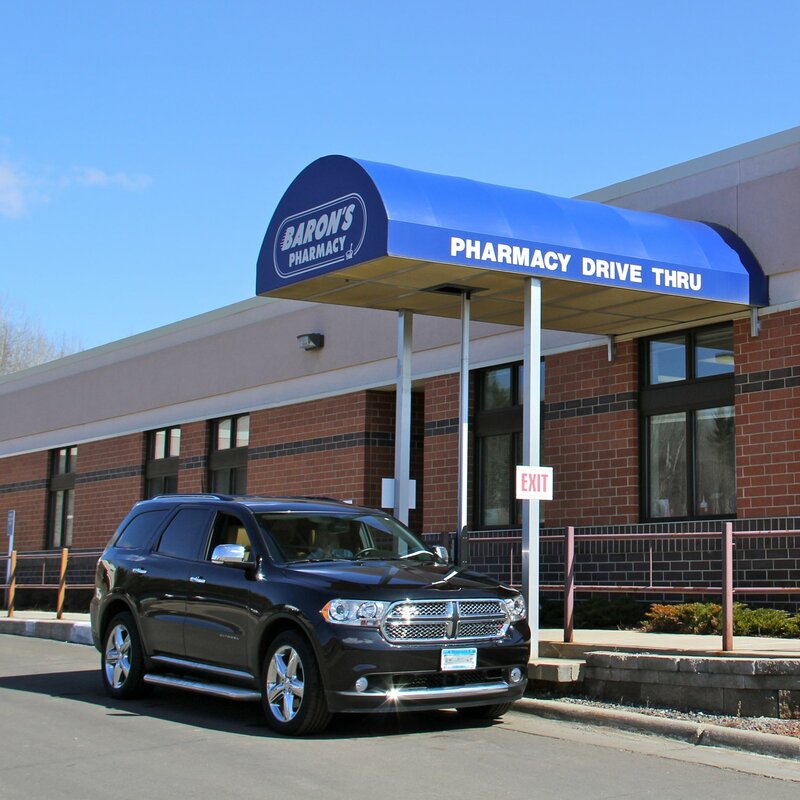 As a practicing physician in Hibbing MN for three years, when I recommended a pharmacy, I was looking for quality service, and at times personal attention. 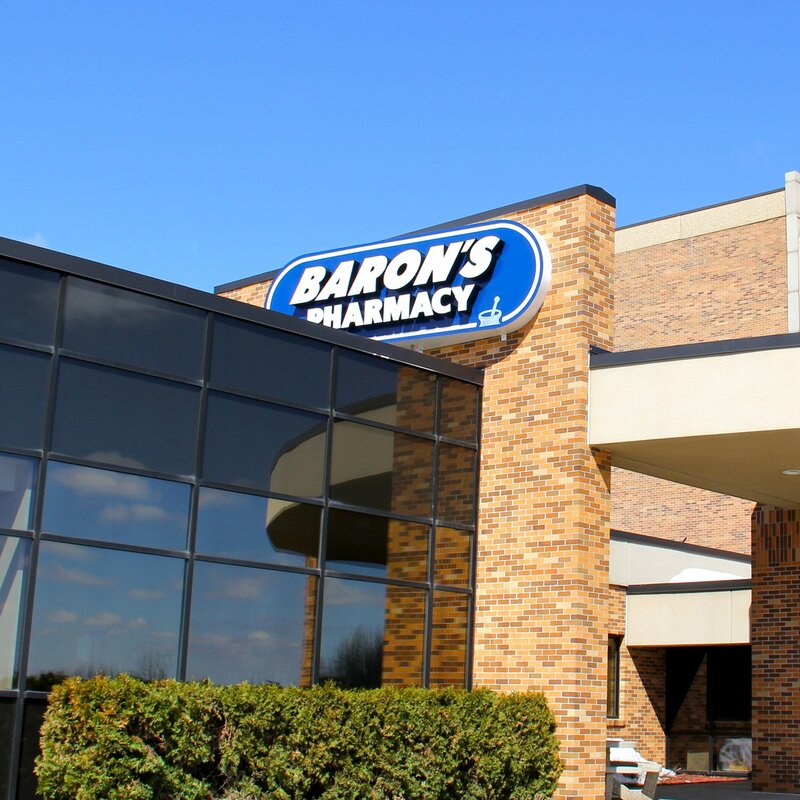 The only pharmacy in Hibbing that provided this consistently was Baron’s. Not only was their staff very knowledgeable, they were very friendly and caring. When a patient needed personal attention, they were always there to provide the essence of quality, in addition to unequaled personal care. This is a rare quality in this day and age. Not only is Baron’s the best pharmacy in Hibbing, I wish that their model would be the standard of care in this country, but due to multiple factors it is only a fading picture of the past that should be enjoyed by patients as long as it lasts. Hibbing is very lucky to have such a pharmacy. I appreciate the great service that Baron’s Pharmacy provides for my patients. They go the extra mile to help patients afford their medications, and they also offer the great service of delivery. Once, they delivered a medication to a patient of mine on a weekend that lived 40 miles away.